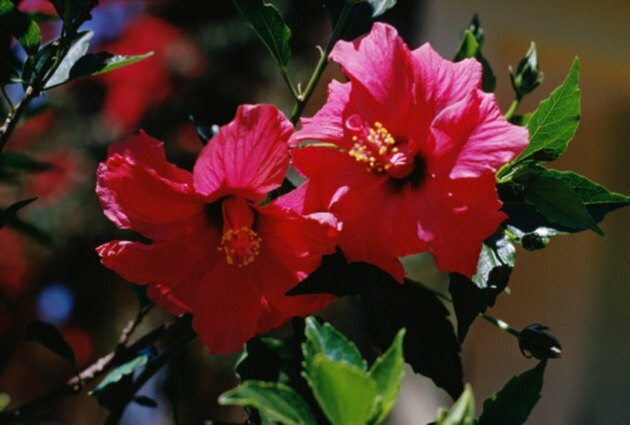 Like many flowering plants, the petals and leaves of hibiscus plants can be collected and used to make dye. Once the dye is prepared, you can experiment with dying fabrics and yarns to discover what colors your hibiscus can create. Unlike commercial dyes, which can guarantee consistent vibrancy and color tone, handmade natural dyes can be harder to duplicate, making the process and results individualized every time. Hibiscus flowers can make vibrant natural dyes. Collect two to three handfuls of hibiscus petals that are all the same color when they are in full bloom, or gather leaves from the plant. Dice the petals or leaves into small pieces, about ½ inch square. Pour the small pieces into a measuring cup and check to how much you have collected. Put the petal or leaf material into a pot. 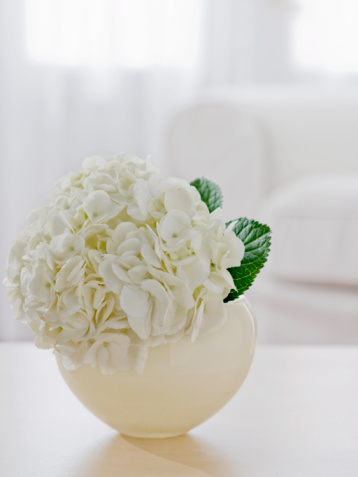 Add twice as much water as the amount of flower or leaf material you measured in Step 1. Heat the mixture and bring it to a boil for one minute. Turn the heat down and simmer the material for one hour. Allow the simmered mixture to cool down to room temperature. Place a strainer over another pot and pour the dye mixture through the strainer. Discard the solid pieces of petals or leaves and keep the hibiscus dye in the pot. Mix four parts water and one part vinegar in a pot. Add the fabric or yarn you want to dye and add more of your water/vinegar mix if the material isn't covered in liquid. Simmer the water/vinegar mixture with the fabric or yarn in it for an hour. Let the liquid cool to room temperature. Pour out the water/vinegar liquid and rinse your yarn or fabric well with water. Wring the material out until it is only damp. Move the damp material into the pot filled with hibiscus dye. Simmer the dye and material for 45 minutes to an hour. Lift the fabric or yarn from the dye with tongs to check the coloring. Allow the material to simmer longer and continue to check the color for intensity to get a darker dye. Remove the fabric or yarn when you like the color and squeeze the extra dye liquid from the material. Rinse the material with cold water until it runs clear. Hang the fabric or yarn outside in direct sun to dry.